All of us are creative; some people just don’t know how they are or where to find their creativity. By definition creativity is the power to bring something into being. So many of us use that definition as to only apply to people that build, paint, or write etc. 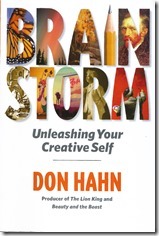 In Brainstorm: Unleashing Your Creative Self, Don Hahn helps everybody to realize that creativity applies to life, not just the arts, but how one approaches a problem at work differently, making dinner, or painting your own Mona Lisa. With simple techniques, stories, and advice we can all unleash our own creativity. This is not a book to pick up and blaze thru; no. Please pick it up, savor it, put it down, walk away for a bit, apply the techniques or thought, and find your place again. 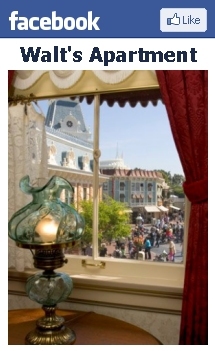 I have enjoyed every minute of the book and often refer back to it. 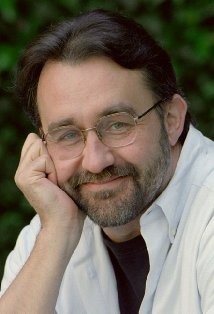 Don Hahn is a two-time Oscar nominee, producer of Beauty and the Beast, and The Lion King and is executive producer of the Disneynature films, Earth, Oceans, and African Cats; so needless to say this is someone who can teach us all a few things about creativity. 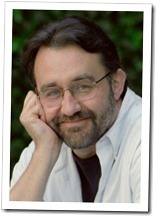 For added fun, follow Don Hahn on Facebook and see how to view the world through a totally different perspective.